One of my favourite routes to get out of the river valley from Rossdale is an old, slightly neglected bike path that runs parallel to 97 Ave. It’s a gentle climb over several blocks, and now it has 50% less bollards! They took out half of those bloody bollards! And now that there’s one less bollard in the way, anyone hauling a trailer now actually has a chance to make it up the hill. 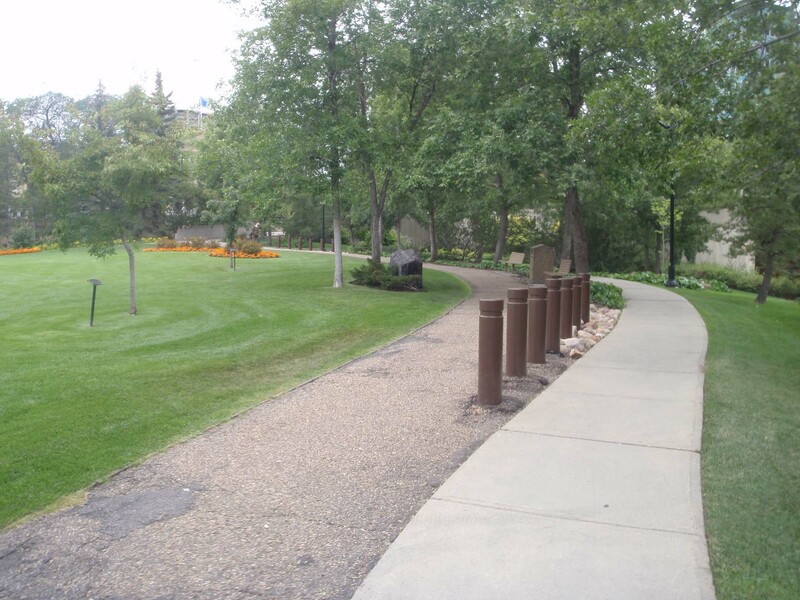 This path continues into the Legislative grounds where you can access the High Level Bridge and becomes a much more pleasant, though slightly steeper ride. 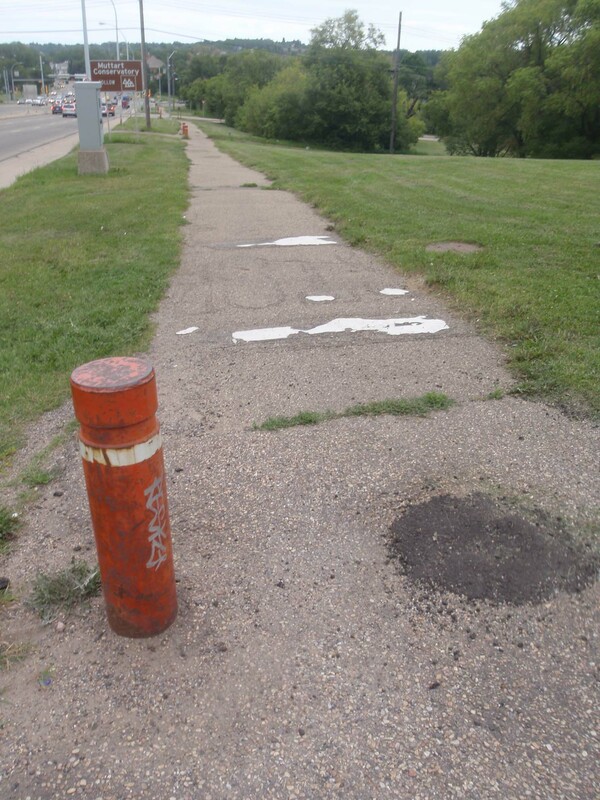 Choose your flavor of bumpy – poorly maintained asphalt or sidewalk slabs. The Leg ground paths have not, however, gone on a bollard diet, and still continue to stand as a monument to the 80’s. 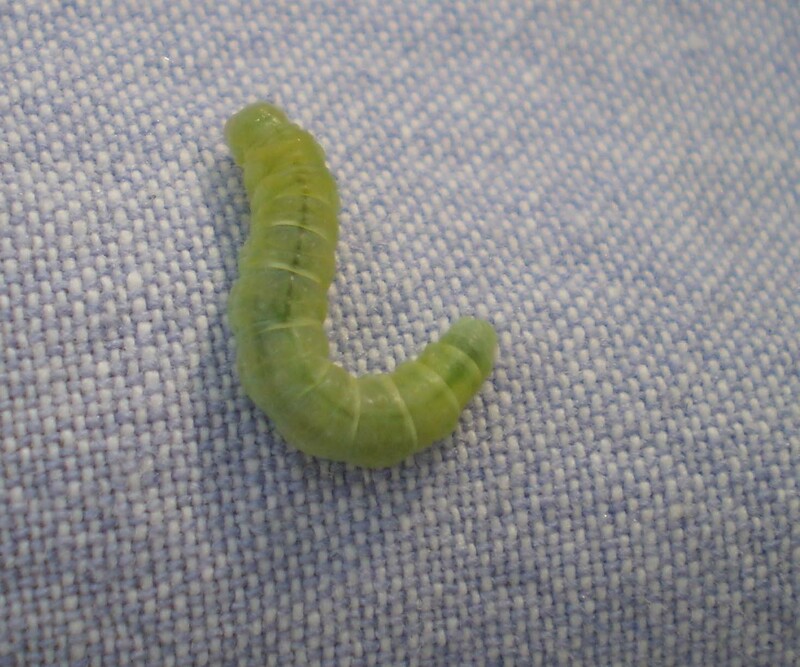 A Larger Boxelder Leafroller crowds my poplin. 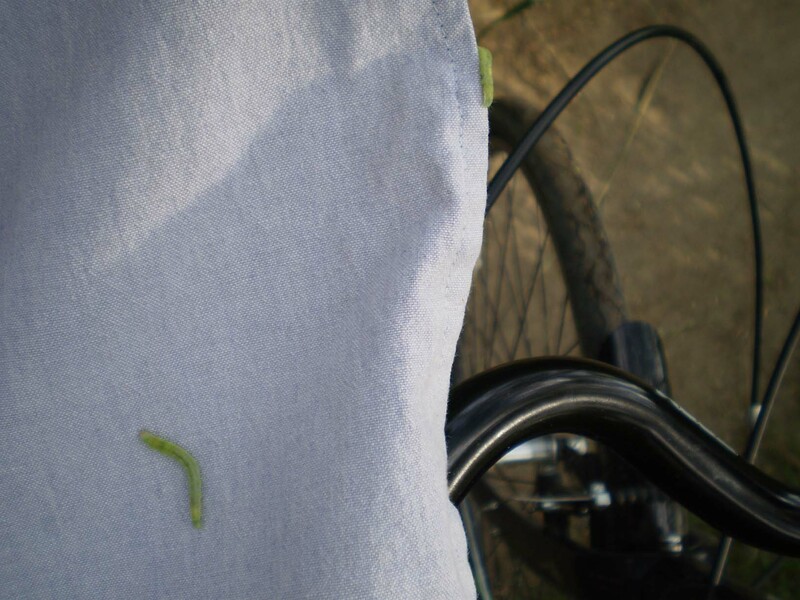 Word to the wise if you’re riding the river valley trails in Rossdale and Riverdale these days: watch out for green caterpillars parachuting or rappelling out of trees on silk strands with the intent of hitchhiking and possibly grossing you out. They seem to really like bike paths and can be seen in the hundreds, just hangin’. I grew up in this region, and I don’t have any childhood memories of what’s become an annual creepfest on the flats, and have often pondered why. Turns out my memory is not just selective, and that the masses of larger boxelder leafrollers are a new phenomenon to these parts, the infestation starting in Rossdale in 2005. It almost makes me nostalgic for tent caterpillars – at least they don’t swing down from trees to latch onto you. I have a skirt full of caterpillars and am trying to stay calm.